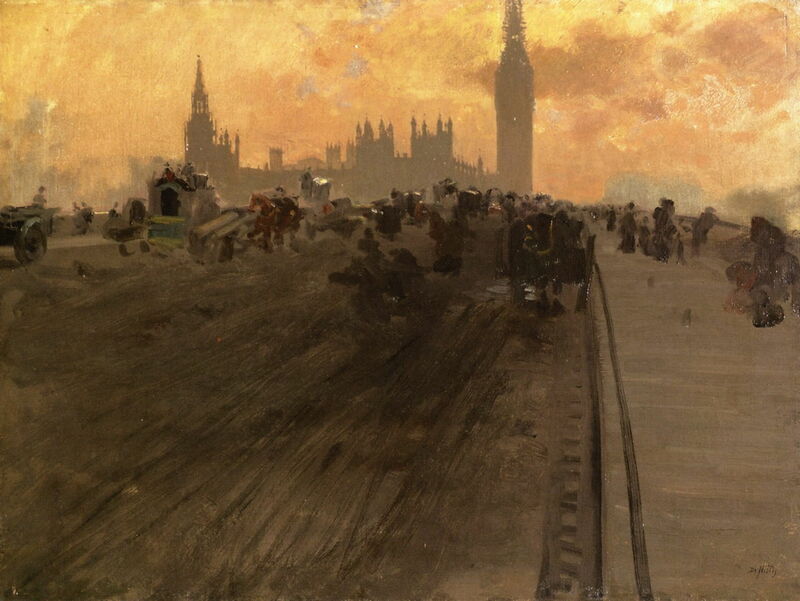 Giuseppe De Nittis (1846–1884), Westminster Bridge (date not known), oil on canvas, 46 x 61 cm, Private collection. Athenaeum. 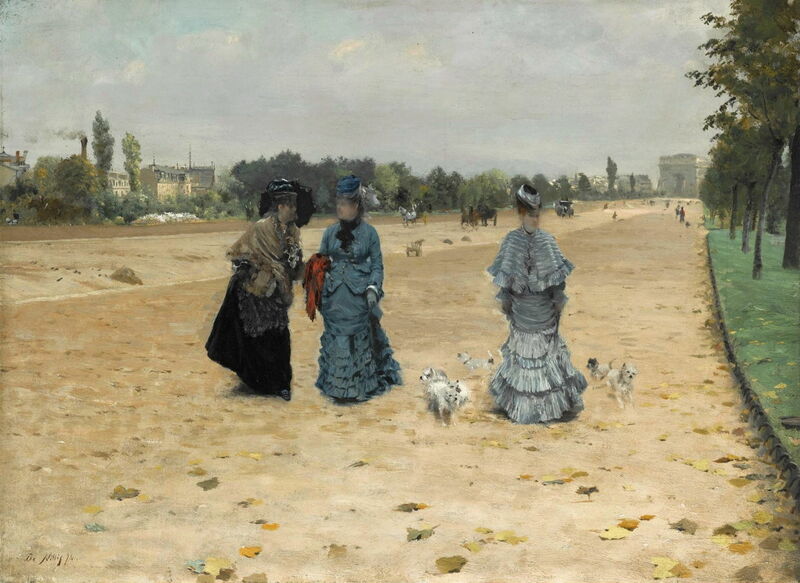 In the previous two articles – here and here – I have only included images of those paintings which I can reasonably confidently attribute to Giuseppe De Nittis. To do that, I have matched images which I am able to reproduce here with those which have been published in (reasonably) reliable references. That leaves many images of wonderful paintings which are likely to have been painted by De Nittis, and I would like to show you them in this article. 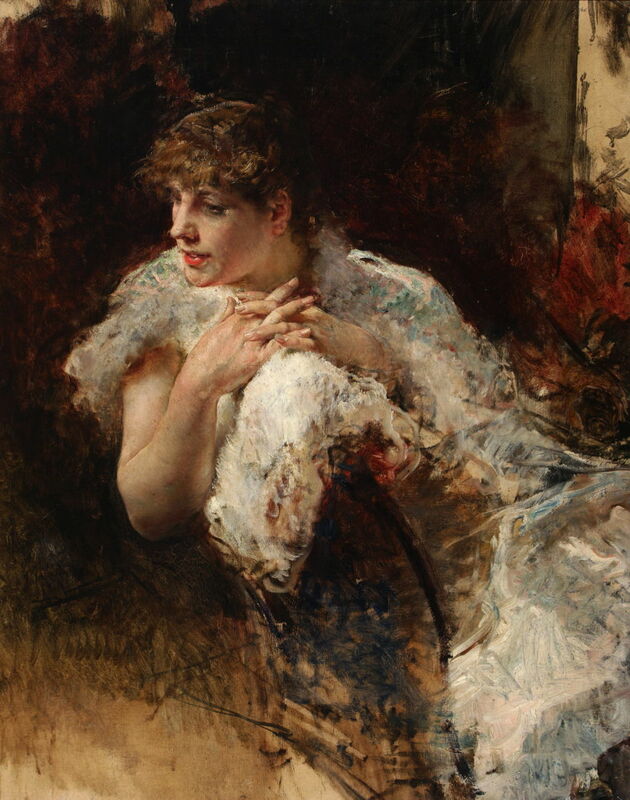 My only word of caution is that those works which bear a signature may not, of course, be any more likely to be genuine: De Nittis was distressed to find his paintings being copied as early as 1883 when he visited Naples. 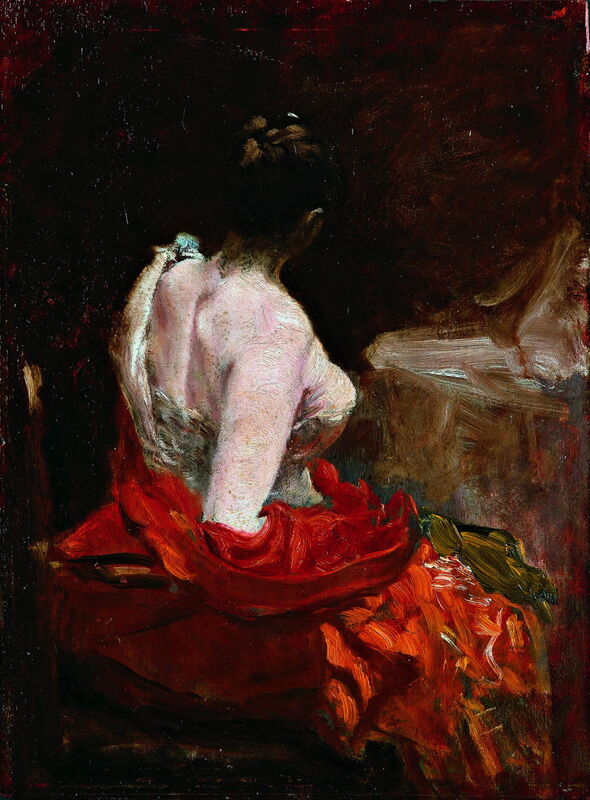 Giuseppe De Nittis (1846–1884), A Lady from Naples (1872/79), other details not known. Wikimedia Commons. Giuseppe De Nittis (1846–1884), First Dance (date not known), oil on panel, 36 x 26.5 cm, location not known. Wikimedia Commons. 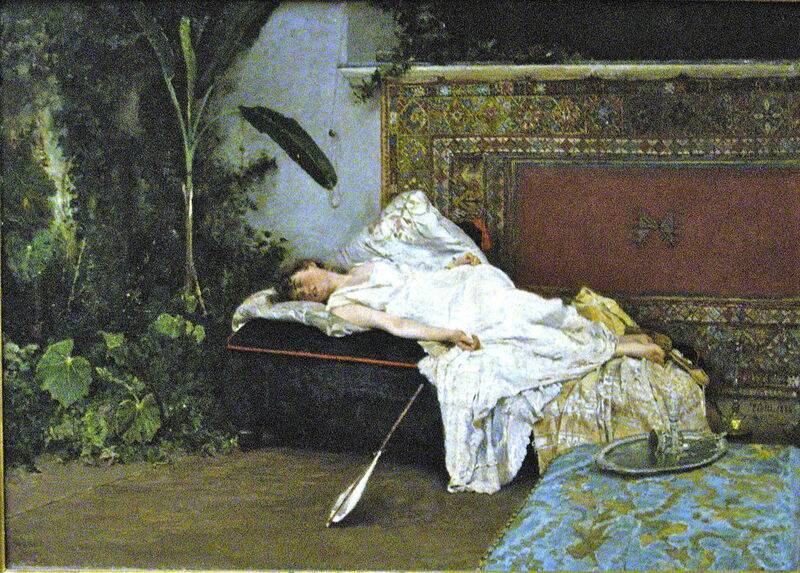 Giuseppe De Nittis (1846–1884), Siesta (date not known), further details not known. Athenaeum. Giuseppe De Nittis (1846–1884), Seascape near Naples (1873), oil on wood, 24.5 x 61 cm, Private collection. Wikimedia Commons. 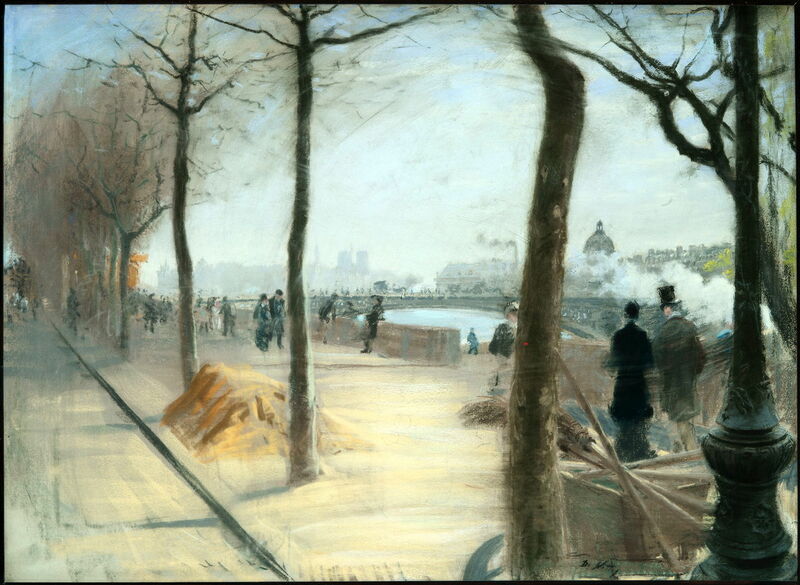 Giuseppe De Nittis (1846–1884), Avenue de Bois du Boulogne (1874), oil on canvas, 32.2 x 42.2 cm, Private collection. Wikimedia Commons. This painting appears to be signed, and dated 1874. Giuseppe De Nittis (1846–1884), Along the Seine (1876), pastel, 52 x 71.5 cm, Private collection. Athenaeum. This appears to be a pastel study for the completed oil painting Mattinata di Sole Lungo la Senna (c 1874), in which he has added his wife with his baby son in a pram. This appears to be signed, but not dated. 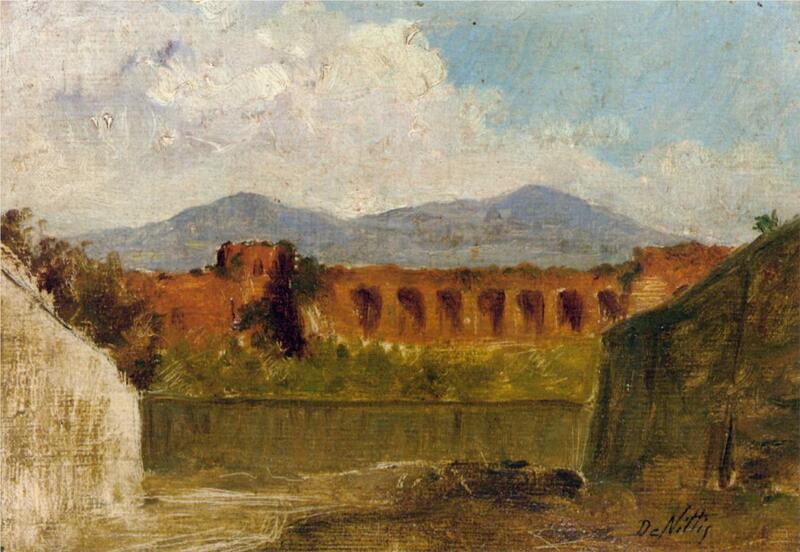 Giuseppe De Nittis (1846–1884), A Roman Aqueduct (c 1874-5), further details not known. Athenaeum. This painting appears to be signed, but not dated. Giuseppe De Nittis (1846–1884), A Winter Landscape (1875), other details not known. Wikimedia Commons. This painting appears to be signed, and dated 1875. 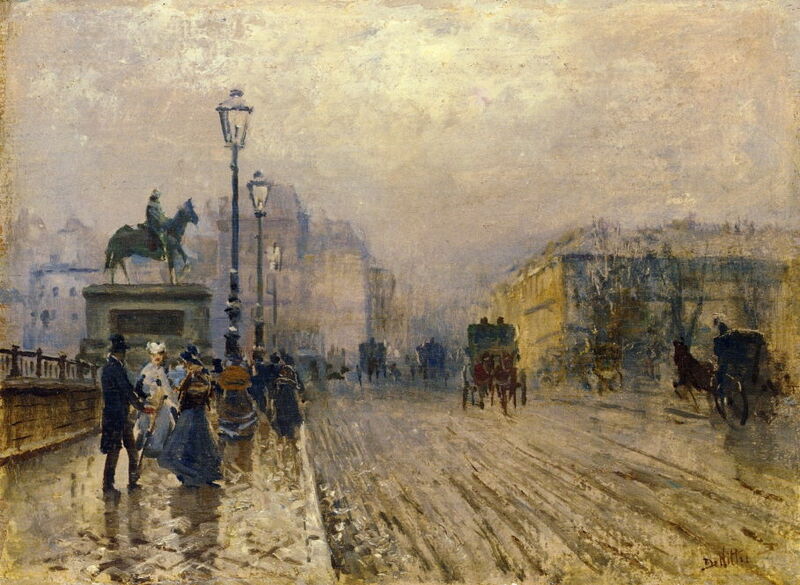 Giuseppe De Nittis (1846–1884), Rue de Paris with Carriages (date not known), oil on panel, 40.4 x 55.9 cm, location not known. Athenaeum. 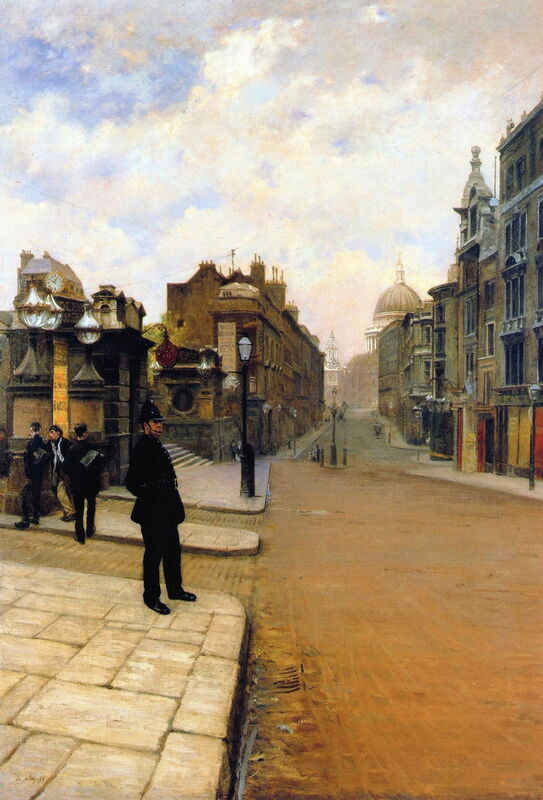 The next five paintings appear to be some of his many paintings of London, and could date from 1874 to 1878. 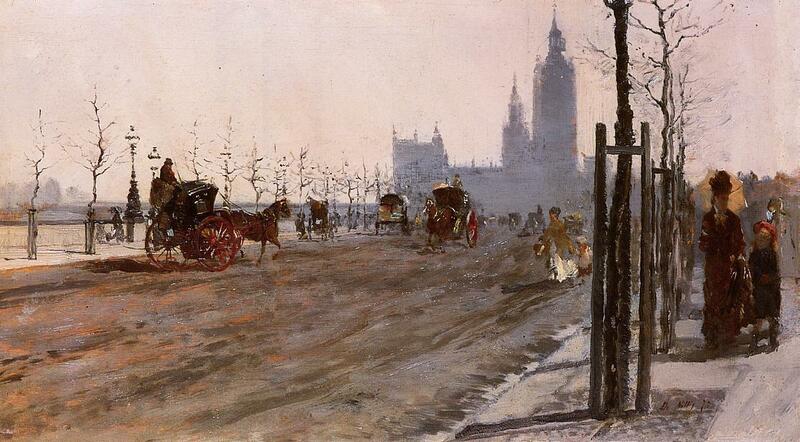 Giuseppe De Nittis (1846–1884), The Victoria Embankment, London (1875), other details not known. Wikimedia Commons. This painting appears to be signed, but the date is unclear. Giuseppe De Nittis (1846–1884), Sunday in London (1878), oil on canvas, 116 x 80 cm, Pinacoteca di Brera, Milan. Athenaeum. This painting appears to be signed, but the date is unclear. It does seem to be attested as genuine in other sources. 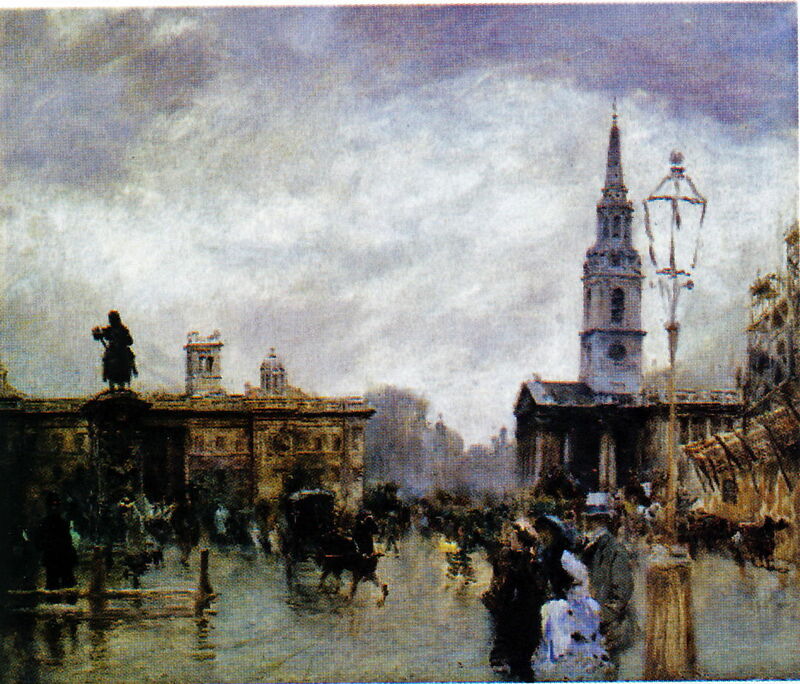 Giuseppe De Nittis (1846–1884), Trafalgar Square (1878), further details not known. Athenaeum. 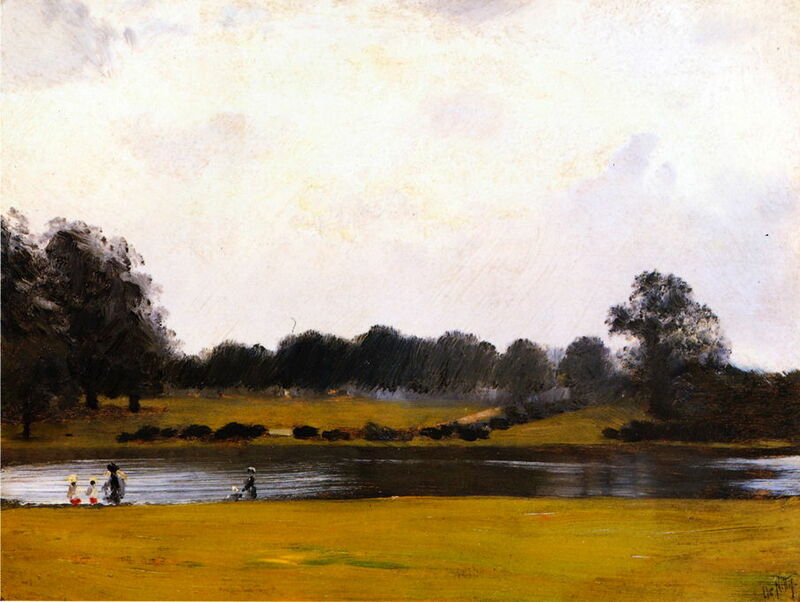 Giuseppe De Nittis (1846–1884), The Serpentine, Hyde Park, London (1878), oil on panel, 26.7 x 35.6 cm, Private collection. Athenaeum. 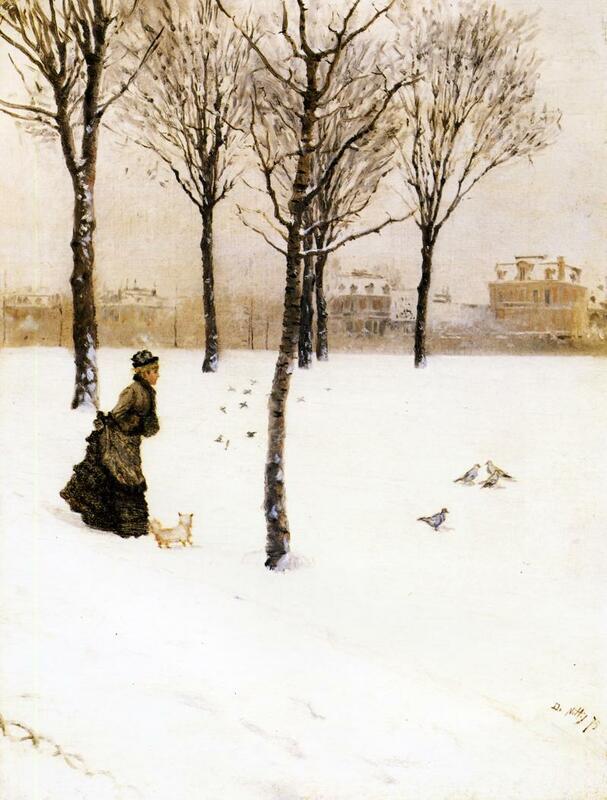 Giuseppe De Nittis (1846–1884), Winter Walk (1879), media and dimensions not known, Pinacoteca De Nittis, Barletta, Italy. By LPLT, via Wikimedia Commons. 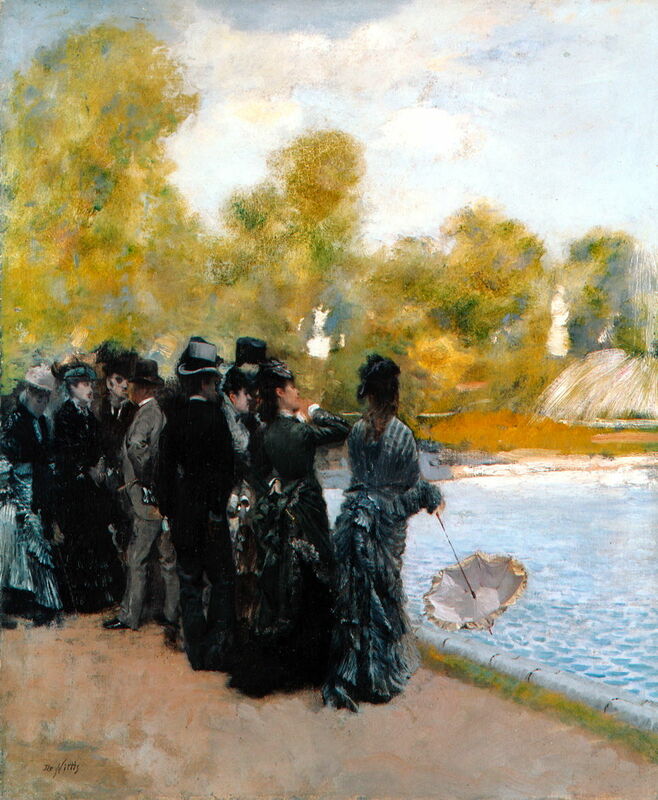 Giuseppe De Nittis (1846–1884), Pond in the Luxembourg Gardens (date not known), further details not known. Athenaeum. 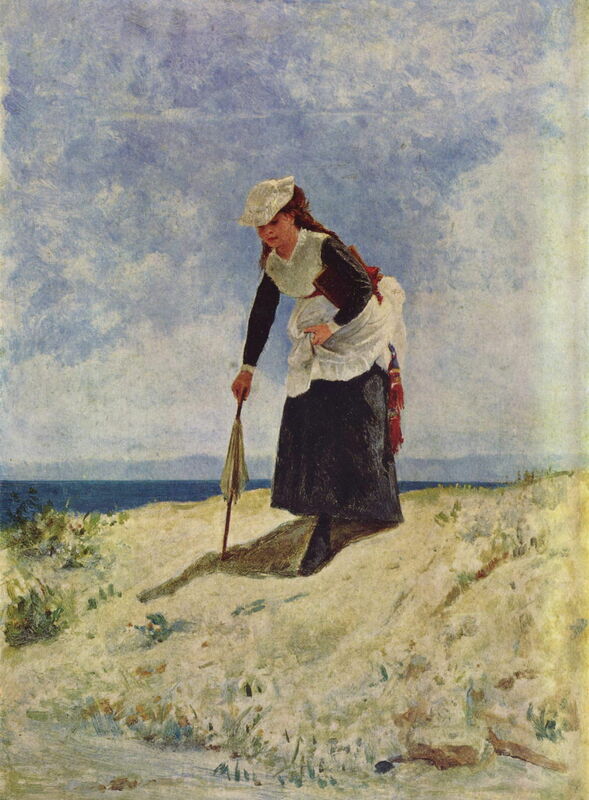 Giuseppe De Nittis (1846–1884), Woman on the Beach (date not known), medium not known, 35 x 25 cm, Galleria Nazionale d’Arte Moderna, Rome. Wikimedia Commons. In the next and last article I will summarise this evidence from his life and work, and draw to a conclusion. 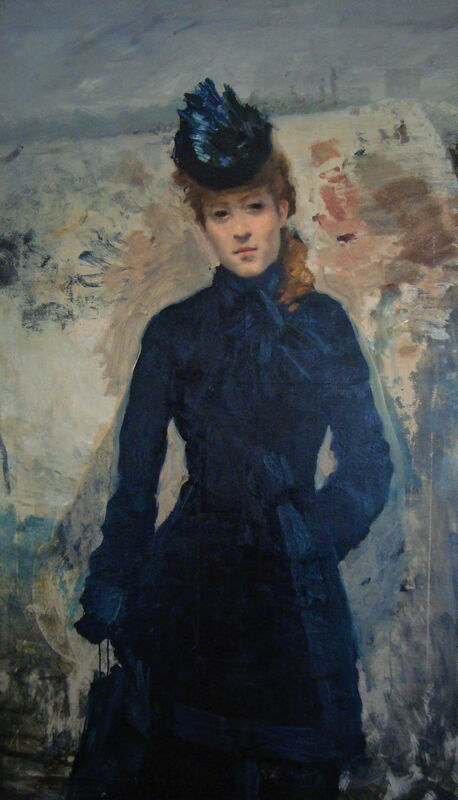 Posted in General, Painting and tagged de Nittis, Impressionism, Italy, painting. Bookmark the permalink.